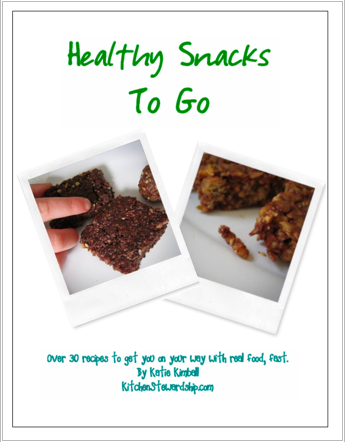 Giveaway: Healthy Snacks to Go Ebook! Don’t buy over processed food for snacks. Passionate Homemaking is hosting a giveaway of a new ebook from Kitchen Stewardship called Healthy Snacks To Go. I am excited to look into this book, but just by reading the table of contents, I’m eager to try some out. The book is on sale for $6.95, read a review of the book at Passionate Homemaking and to find out how to win it.